Wie zijn bedrijfsvoertuig - met een maximum toegelaten massa van minstens 4 ton - beveiligt tegen diefstal, kan genieten van een verhoogde fiscale aftrek. De ministers Vincent van Quickenborne van Economie en Annemie Turtelboom van Binnenlandse Zaken hebben daartoe een kb uitgevaardigd. Er bestond vroeger al een regeling voor de beveiliging van bedrijfsgebouwen, maar die wordt dus nu uitgebreid naar bedrijfsvoertuigen. Naast de klassieke aftrek van de afschrijvingen, mogen ze voortaan ook rekenen op een extra fiscale stimulus. De veiligheidsinvesteringen kunnen immers voor 120,5% worden afgetrokken in plaats van de normale 100%. Voor de aftrek komen onder meer de uitgaven van volgsystemen via gps in aanmerking. Voorts geldt hij ook voor onder meer alarmsystemen, automatische deurvergrendeling, beveiliging van de dieseltank, versterkte dekzeilen en de versteviging van de zijwanden. 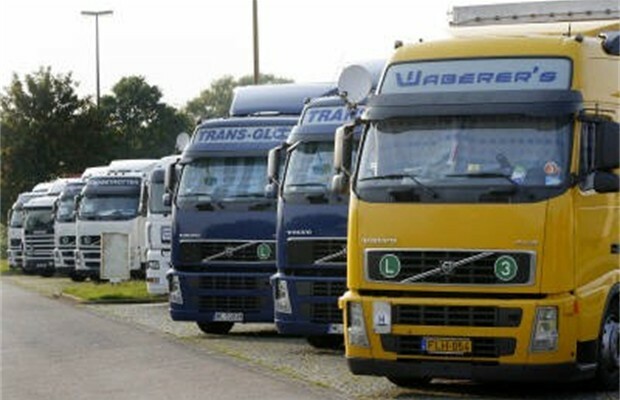 The latest Trailer Market Forecast Report for Western Europe shows that the trailer market fell by 6.3% in 2012 – the exact figure forecast in the previous report. Heavy truck demand fell by more than 9%. The fall was almost universal; only Norway and Denmark had increased trailer demand. CLEAR has been forecasting a slowdown in 2012 for several years, so this has not come as a surprise. The worst performing markets were Italy, Portugal and Spain, which saw falls of between 20% and 40%. What is more important is that the economic outlook for the next five years has been downgraded in every year and this will inevitably have an impact on long term trailer demand. GDP growth for the region is forecast at only 0.2% in 2013, but will average 1.5% in the three subsequent years when investment growth will average 3.2%. Therefore, there will be growth in trailer demand in the second half of 2013, followed by more solid growth through to 2016. The report includes data on the demand for road transport in the Big 7 West European economies, which in 2011 languished at 11.6% below the level of 2006 (measured in tonne-km). The consequence of this fact is that a smaller trailer parc (fleet size) can meet the reduced demand for transport. Hence the parc will fall in four out of five years from 2009 to 2013. Whenever there is a slowdown in trailer demand there is usually an even larger reduction in trailer production, which is estimated to have fallen by 11% in 2012. However, when the market turns around production has to catch up with demand and restock the distribution system, so the increase in output will be greater than that for sales. The most likely scenario is that, after the hiatus of 2012 and the first half of 2013, we will be into a more stable period of trailer demand growth and parc renewal. From 2013 to 2016 trailer demand will grow in every country in almost every year. 77% of all goods in Europe are moved by road and most of that proportion is transported on a trailer. The West European Trailer Market Report (February 2013), with forecasts to 2017, can be obtained from CLEAR using the contact details below. A new report for the East European market was issued in October 2012. CLEAR is a consulting group working with companies active in automotive and transport markets. Projects focus on the future demand for products as a result of changes in technology, markets, business processes and legislation. Clients include component manufacturers, vehicle manufacturers, investment banks, management consultants, materials producers and government bodies. 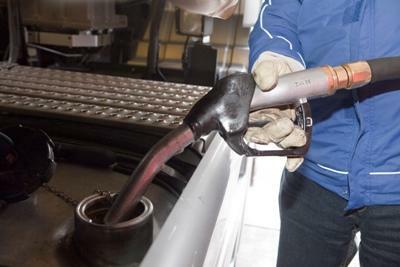 Fuel thieves have siphoned hundreds of litres of fuel from a North Wales aggregates haulier. The thieves stole around 750 litres of diesel from three vehicles at Porthmadog-based OJ Jones & Son on Wednesday night (13 February). CCTV footage revealed that thieves broke into the firm’s yard at 10.38pm on Wednesday with an electric pump. Jones told Commercialmotor.com that there have been four incidents in the area in three weeks, with vehicles run by Gwynedd Council also targeted. Police are currently investigating the case and are urging anyone with information to call 101. OJ Jones & Son has received support from the council to develop a new site with a vehicle testing lane. It is currently awaiting planning permission.